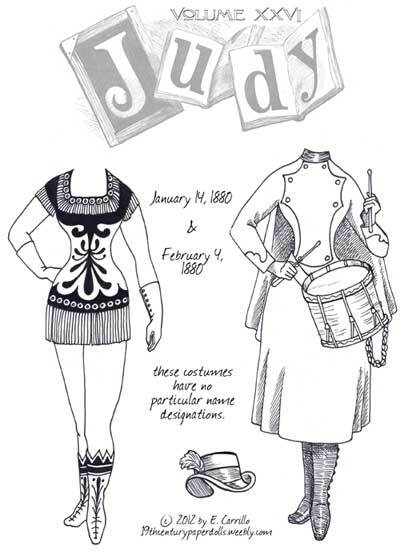 From 1867 to 1907, a weekly periodical by the name Judy; or the London serio-comic journal was published. One of its regular cartoonists was A. Chasemore, who drew the "Fashion for the week". 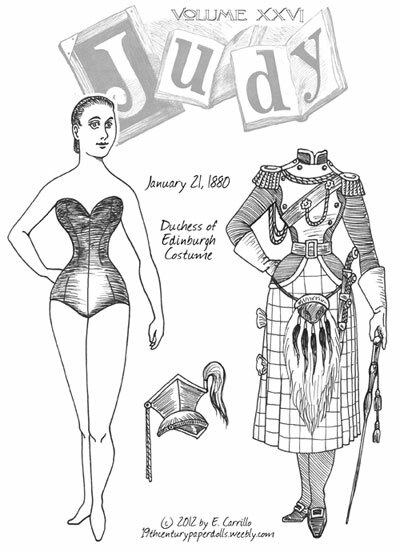 This illustration was generally a fantasy concoction; nothing anyone would have really worn except perhaps in a theatrical or masquerade ball. 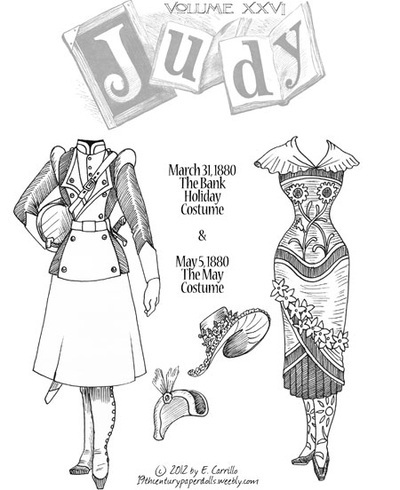 The costumes were sometimes allegorical, sometimes political, and mostly just whimsical. And since they were drawn in ink and published in black & white, sky's the limit on the color interpretations! 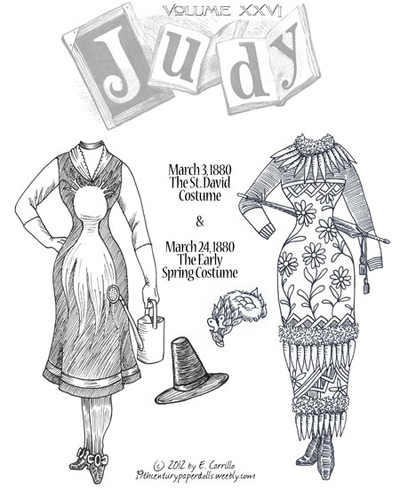 The model for the outfits was just an "everywoman" but I have taken the liberty of naming her after the publication. There actually was a character associated with the publication, but she was a comical and non-glamorous character. 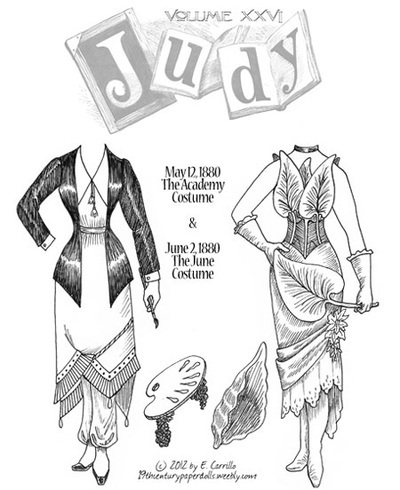 Judy, the magazine, of course, was a competing journal to the much more popular Punch. 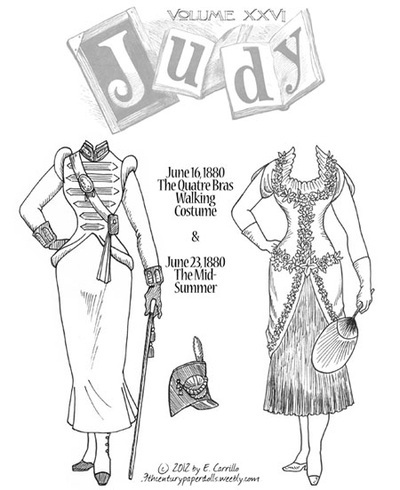 The costumes below all come from Volume 26 of the series. Other volumes are (hopefully) forthcoming! Click on each image to download a printable .pdf.